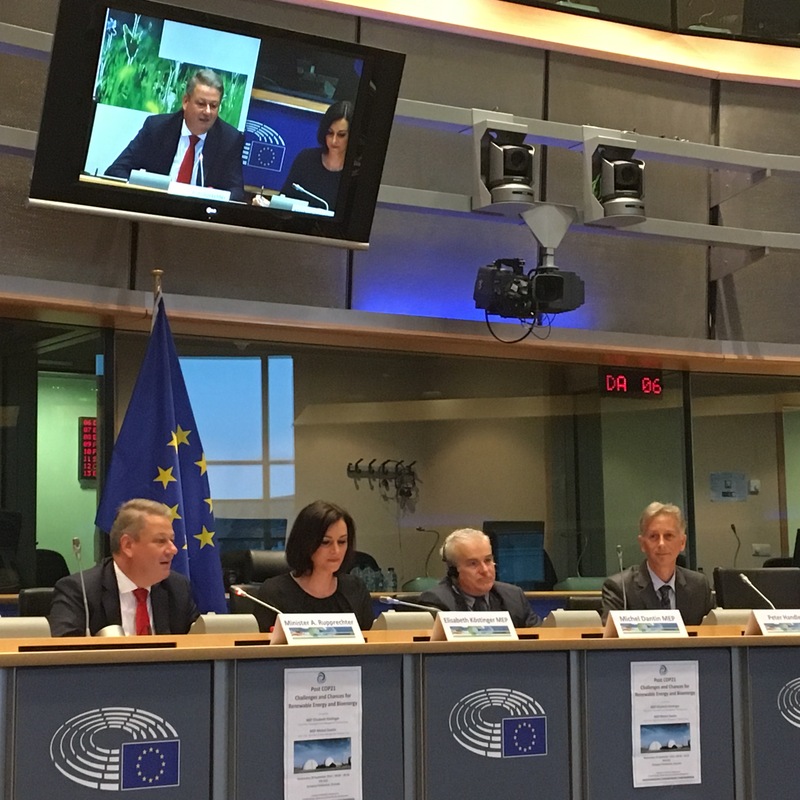 On the 28th of September, the EOS Secretariat attended an event organized by the European Parliament Intergroup on Climate Change, Biodiversity and Sustainable Development. The meeting was co-hosted by MEP Elisabeth Köstinger, chair of the “Sustainable Forest Management” Working Group, and MEP Michel Dantin, chair of the “Agriculture and Water Management” Working Group. The topic of the event was the challenges and chances connected to the use of renewable energy souces (RES) and bioenergy to fight climate change and ensure a sustainable future. Indeed, at the Paris Climate Conference (COP21) in December 2015 a universal and legally binding agreement to tackle climate change was adopted with the long-term goal of keeping the increase in global average temperature to well below 2°C above pre-industrial levels and the aim to limit the increase to 1.5°C. Energy transition and environmentally friendly forms of energy will play a key role on the pathway to limiting global warming in the near future. This can be realized through the increased use of energy forms from RES together with the control of energy consumption by energy savings and enhanced energy efficiency. One of the guests of the event was the Austrian Minister of Agriculture, Forestry, Environment and Water Management, Mr Rupprechter. The Minister emphasized that Austria is at the forefront of the fight with climate change – not only has the Danubian country already ratified the Paris Agreements (only four European countries have ratified the COP 21 Agreements: France, Hungary, Slovakia, and indeed Austria) but it is also a pacesetter in Europe when it comes to replacing fossil fuels with RES. Austria is indeed expected to exceed its 2020 target of having a RES share of more than 35% of total energy consumption. Biomass, in particular woody biomass has a big role to play. In this sense, Mr Rupprechter – whilst stating that the use of wood as a source of energy is preferable only after a material use – underscored that he is not in favour of an EU Directive that would make the cascade use of wood mandatory. British MEP Stuart Agnew was skeptical that turning wood into energy is actually saving us CO2 as transportation costs must be also factored in the calculation while Finnish MEP Henna Virkkunen underlined that Member States must decide themselves their RES mix that suits them. She emphasized that in Finland woody biomass is an important and overall sustainable source of energy and, due to the abundance of forests in the Scandinavian country, wood can be burnt in sites not far from forests. Mr Peter Handley, Resource Efficiency Head of Unit of the European Commission, underlined that we have to be prudent when it comes to extensively using bio-energy as a sustainable source of renewable energy. Science is divided and there are no definite answers to this question. He also stressed that every part of the Energy Union Framework Strategy has to contribute to bring about the transition to a low-carbon, secure and competitive economy. The EU needs to promote investments - to make sure that investors see an economic interest in investing into RES. 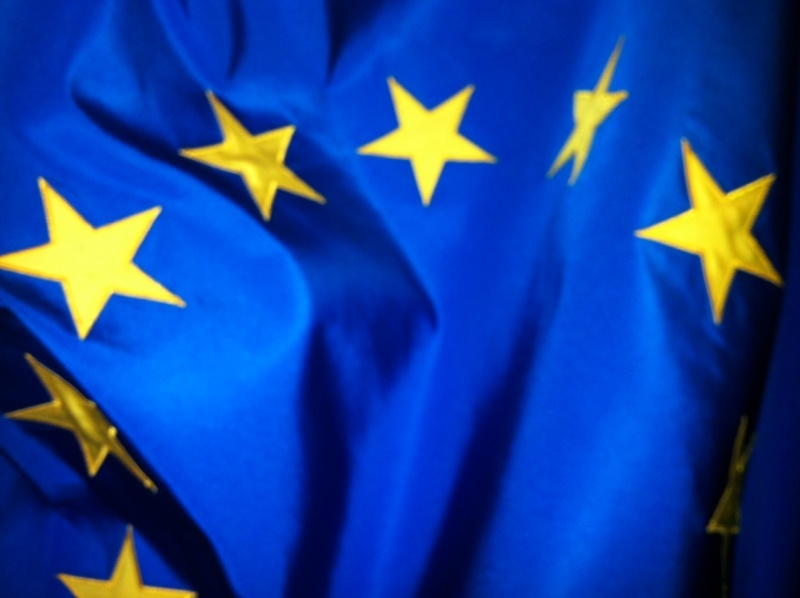 Public sectors should lead by example and Member States shall ensure that public institutions at a national, regional and local level shall only procure products, services, and works with high energy efficiency if this is compatible with the aspects of cost effectiveness, economic viability, sustainability in the broader sense and technical suitability as well as sufficient competition. Finally, during the discussion it was emphasized how important the local level is: the energy transition will be carried out mainly by local level of government and will be successful only if local actors will see the benefits of such transition and the opportunities connected to green energies will trickle down to the population. From left to right:Mr Mr Rupprechter, Mrs Köstinger, Mr Dantin and Mr Handley.